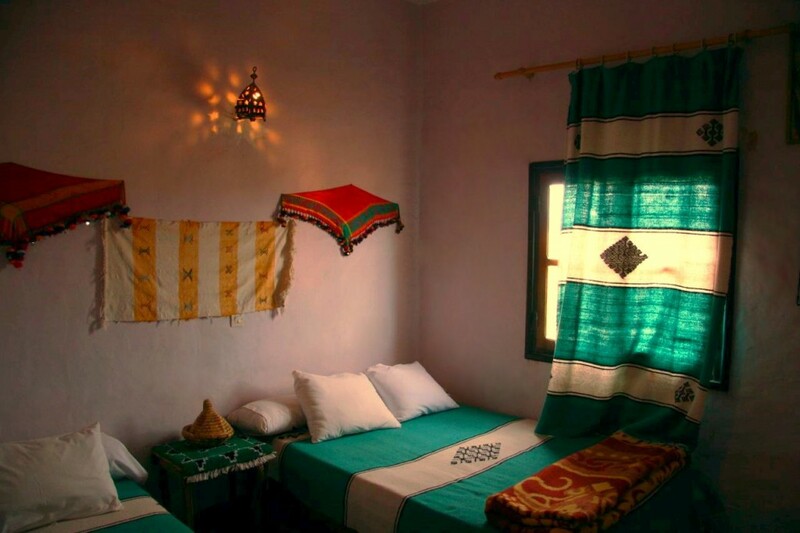 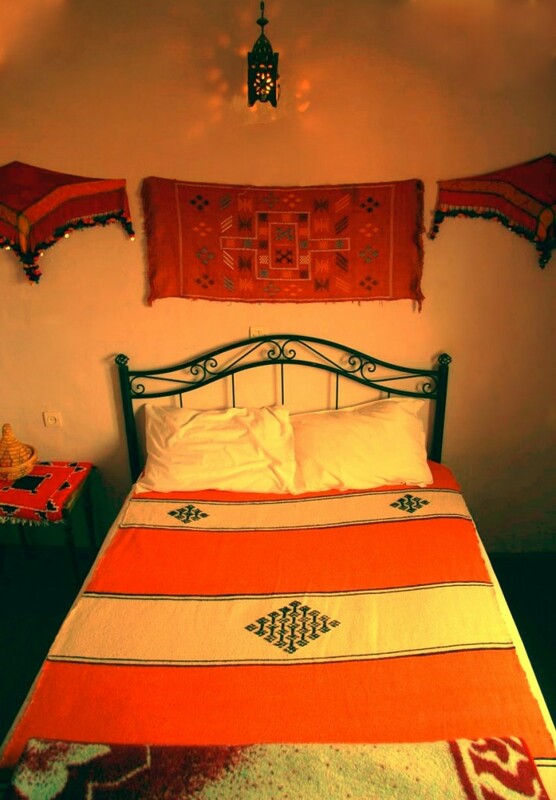 Traditional Guest Rooms: 6 traditional rooms with great view over the palm grove of Tamazight and the Saghrou Mountains. 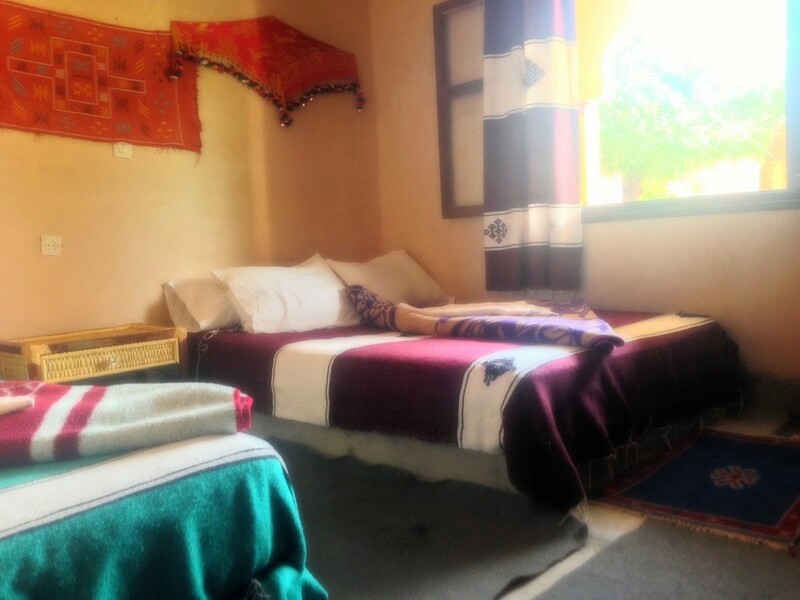 Accommodation is available in double rooms, as well as in twin and triple rooms. 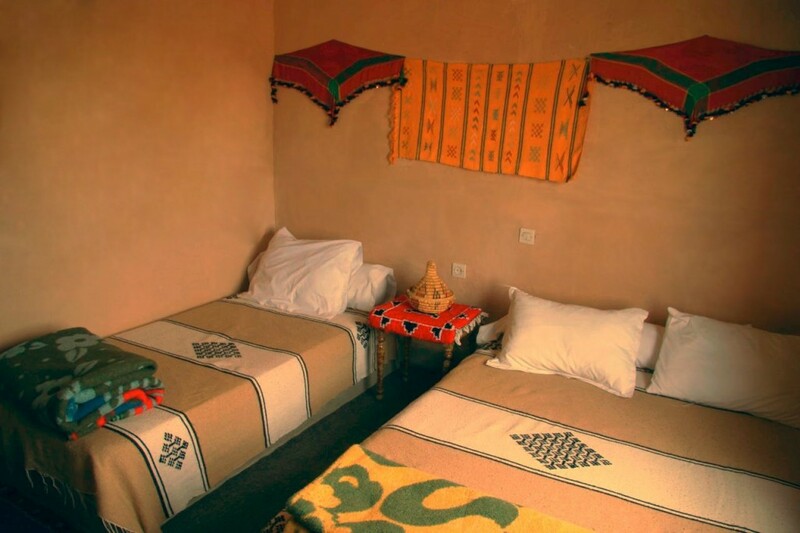 All rooms are fully decorated within local style and each with the name of a trekking mountain station stop. 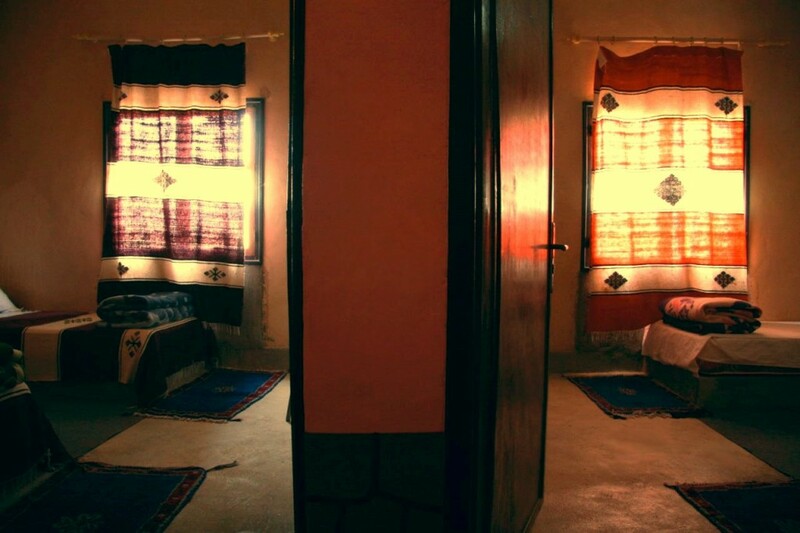 External shared bathroom for all the rooms.